The president is the fifth in terms of wealth. 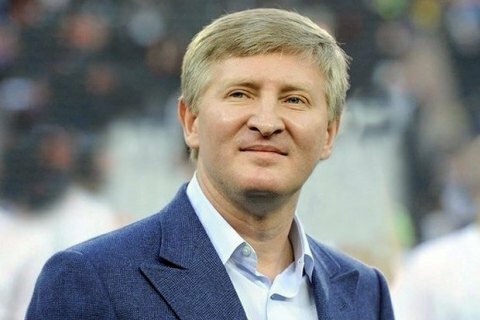 System Capital Management Group owner RInat Akhmetov is Ukraine's wealthiest businessman with 6.8bn dollars, according to a rating by the Novoye Vremya magazine and the Dragon Capital investment capital. He has increased his capital by 68 per cent over the past year. He is followed by Interpipe owner Viktor Pinchuk (1.4bn dollars, +13 per cent). The third is Ferrexpo owner Kostyantyn Zhevaho (1.4bn dollars, +209 per cent). The next on the list are Smart Holding owner Vadym Novinskyy (1.2bn dollars, +113 per cent), Roshen Confectionery Corporation owner and Ukrainian President Petro Poroshenko (1bn dollars, +7 per cent), PrivatBank's former owner Ihor Kolomoyskyy (1bn dollars, -11 per cent), his business partner Hennadiy Boholyubov (763m dollars, -9 per cent), DF Group owner Dmytro Firtash (746m dollars, +14 per cent), Myronivka Plant for Manufacturing Groats and Feeds (Myronivskyy Khliboprodukt) owner Yuriy Kosyuk (693m dollars, +10 per cent), Epicentre-K chain owners Oleksandr and Halyna Hereha (688m dollars, +5 per cent). Kostyantyn Hryhoryshyn (Grigorishin) is no longer on top 10. This rating differs a lot from that by Forbes which only listed Akhmetov (4.5bn dollars), Zhevaho (1.6bn dollars), Boholyubov (1.4bn dollars), Kosyuk (1.3bn dollars), Pinchuk (1.1bn dollars) and Kolomoyskyy (1.1bn dollars) as billionaires. According to Bloomberg, Akhmetov has 4.65bn dollars.